Add cheese and butter and simmer over low heat for approximately 30 minutes, stirring occasionally to prevent burning. Season with salt and pepper to taste. 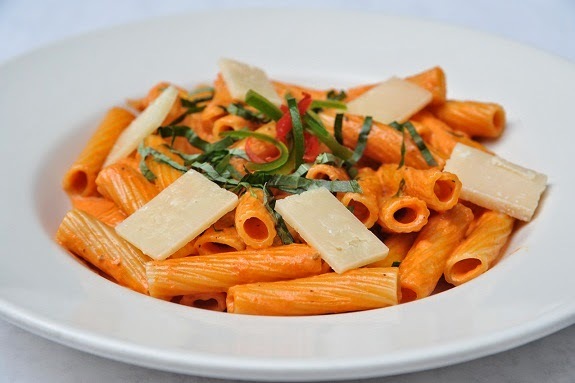 Serve over rigatoni pasta. Spring Has Sprung in New York City! Now that the weather is getting a bit nicer (though we still recommend packing your umbrella and raincoat just in case! 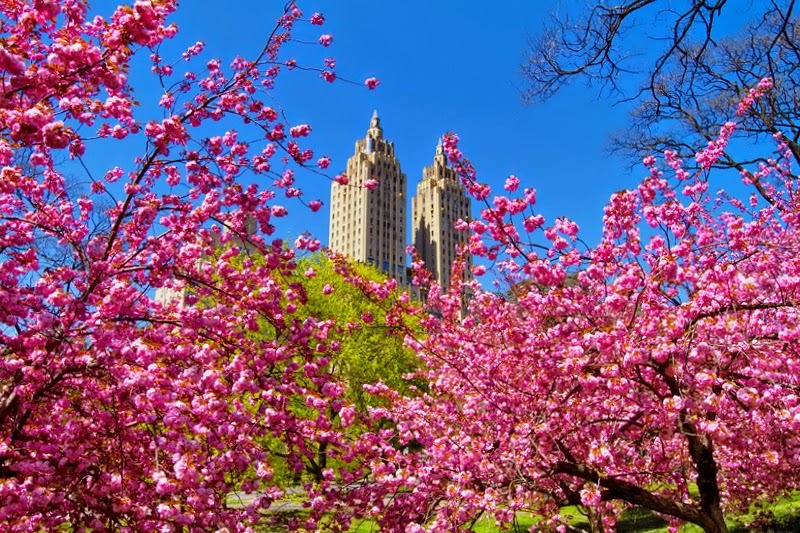 ), there is a lot to do in New York City this Spring. This spring the opportunities are endless, so to help narrow it down – here’s our Top List….. The annual Easter Parade and Bonnet Festival is happening April 20, 2014 with the Easter Parade on 5th Ave. from 49th to 57th Streets from 10 a.m. to 4 p.m. Crazy Hats and Bonnets abound and are truly works of art. It’s definitely a once in a lifetime, only in NYC experience, so don’t miss it. Lights, Camera, Action! The iconic Tribeca Film Festival will take place April 17-26 in Tribeca. The festival is trying something new this year in which the last Friday of the event will be completely free. Approximately 3,000 - 5,000 tickets will be given away at select 60 AT&T retail stores in NYC from April 14-17. For more information, visit http://tribecafilm.com/festival. Whether a Yankees or a Mets fan, guests can experience one of baseball’s biggest days this April. Opening day for the Yankees is April 7, 2014 at Yankee Stadium, where they will play the Baltimore Orioles. If guests are die hard Yankees fans, we also recommend checking out the Mint Pros Yankee Stadium VIP Tour where guests can tour the stadium before a game…and the best part is that the tour is led by a famous Yankee player! For the Mets, opening day is a little earlier, March 31, 2014 at Citi Field. The Mets play host to the Washington Nationals. New York City is known for its elaborate and iconic storefront windows, and The Fashion Window Walking Tour will show guests the best of them. Organized by the fashion experts at Windows Wear, guests can be sure that they will have a knowledgeable tour guide and that they will experience amazing storefront windows! With spring upon us, windows will be updated with stunning new spring trends. Check out this tour every season for fabulous new, updated windows every time! Visit http://www.windowswear.com for tickets and more information.